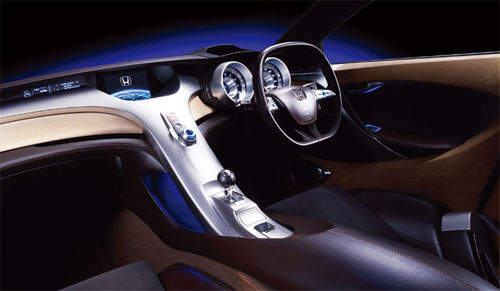 Honda did not give any indication on what the Honda Sports 4 Concept is powered with but likely it should be the flagship K20 4 cylinder i-VTEC engine. 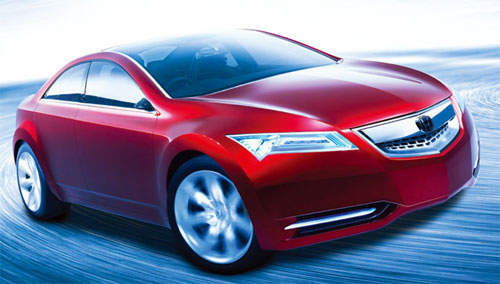 The Sports 4 Concept also has the Acura RL’s SH-AWD all-wheel drive. One funky feature is the front seats have LCD panels at the back of the headrest so the rear passangers can read statistics about the car such as speed, RPM as well as the SH-AWD system’s torque split. 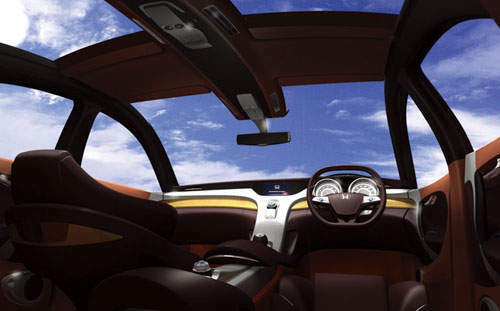 The car a huge moonroof separated into 4 individual sections. Each of these sections can be opened or closed independantly from each other. This could really be how the next Honda Accord (perhaps the Accord Euro R) might look like.